Almost a third of eligible local residents have noted their interest in an innovative scheme aimed at saving them money on their energy bills. 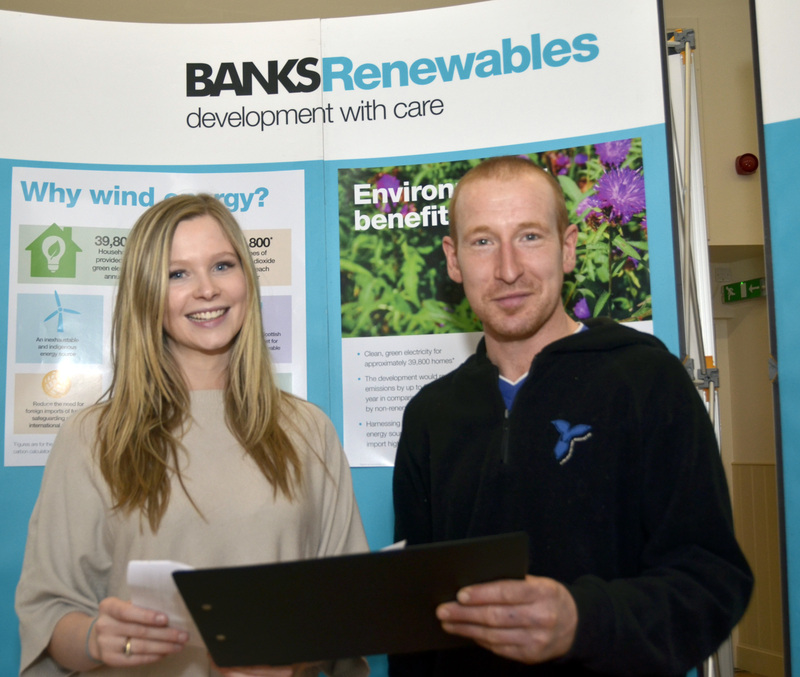 The Birneyknowe Community Energy Contribution Scheme (CECS) was designed around feedback from the local community and launched by wind energy firm Banks Renewables a year ago. Following the enthusiastic uptake, the Hamilton based employer is now carrying out an annual review of the initiative and is urging more residents to register for the potential savings. The initiative will be rolled out as part of the Banks Renewables Community Benefit Package, should it gain approval for the proposed 15 turbine Birneyknowe Wind Farm, and would work on a two-tier basis with bill-payers living within 4km of the site saving £150 and those within 2km saving £300 a year. Introduced in response to the suggestions of residents who attended Banks Renewables public exhibitions, the 4km area where properties can benefit will be predominantly within the Hobkirk Community Council Area. Phil Dyke, director at Banks Renewables, said: “Since its launch around one third of eligible households have signed up for potential savings. “This is testament to the time spent talking and listening to the community, with the most common question from those living closest to the site being whether the project would save them money on their energy costs. “It makes sense for us to address this by dedicating a portion of the wind farm community fund to support the energy costs of those residents closest to the wind farm, thereby offering the local community which hosts the Birneyknowe project another opportunity to benefit from the energy generated. Expression of Interest leaflets for the CECS were delivered to properties in the area on the 3rd and 6th of July, providing people with the opportunity to register their interest in the scheme. The scheme would see up to 30% of the Community Benefit Fund made available to reduce energy costs. As part of the community partnership, a share of the wind farm revenues, which could total up to £7.5million over 25 years (£300,000 per annum), would also be directed to support the priority projects agreed with the local community including a new jobs and skills initiative, improvements to local amenities, support for local groups and organisations or delivering community-based environmental projects. The initiative is the latest in a list of benefits for the local community outlined in Banks Renewables’ planning application, which was submitted to the Scottish Government’s Energy Consents Unit earlier this year. LOOKING FOR PR TO HELP YOUR BUSINESS GROW?